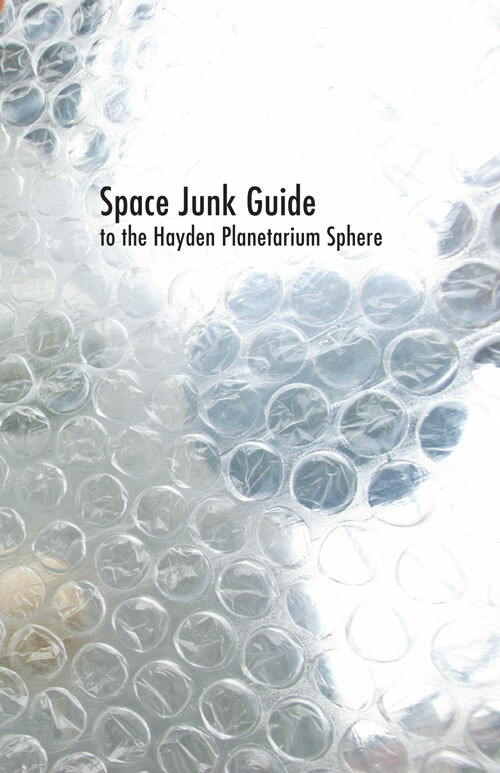 Space Junk Guide to the Hayden Planetarium, 2012. 5.5 x 8.5 in, 16 pages. 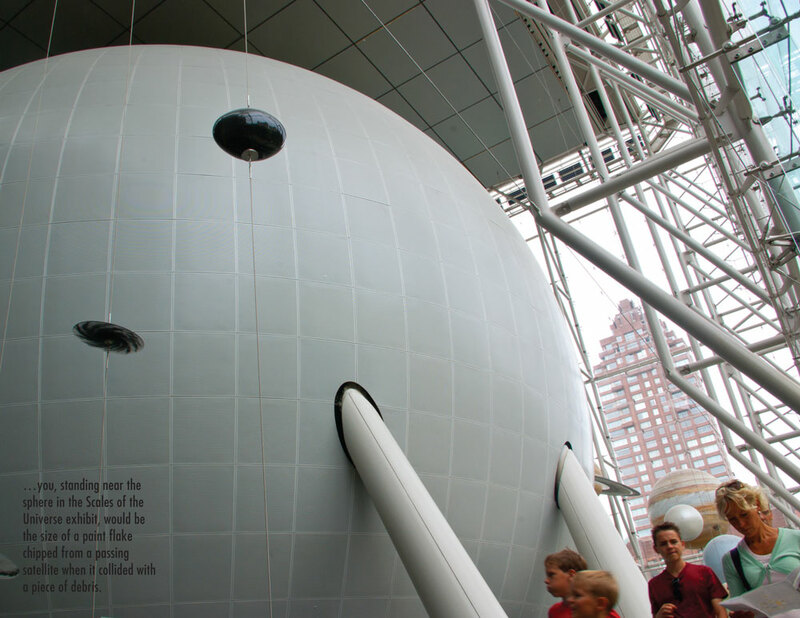 This guide uses the Hayden Planetarium Sphere at the American Museum of Natural History as a reference point to describe and locate the phenomena of the debris in Earth’s orbit. VIEW THE GUIDE AS A PDF HERE, images from the guide are below, and a printed version is available at the Flux Factory gallery ‘Public Trust’ exhibition. 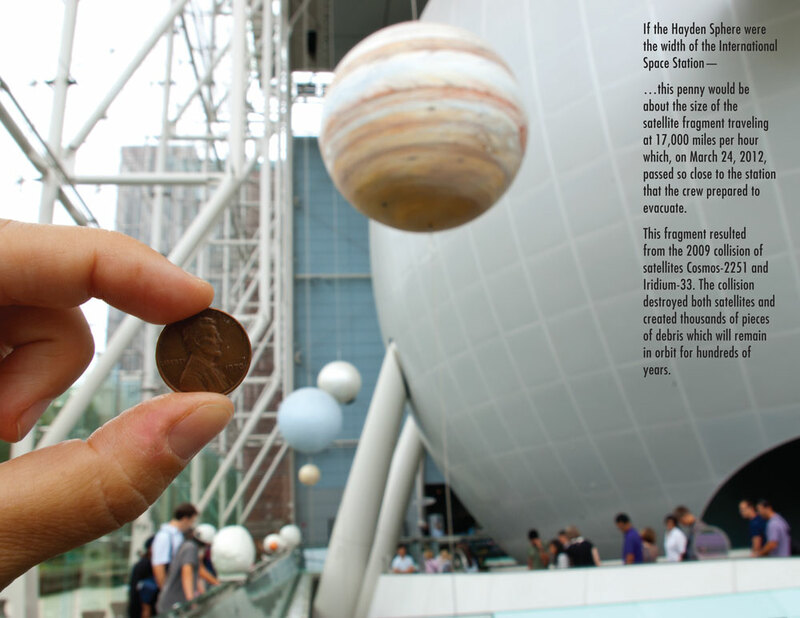 References for information in the booklet are at the bottom of this page. 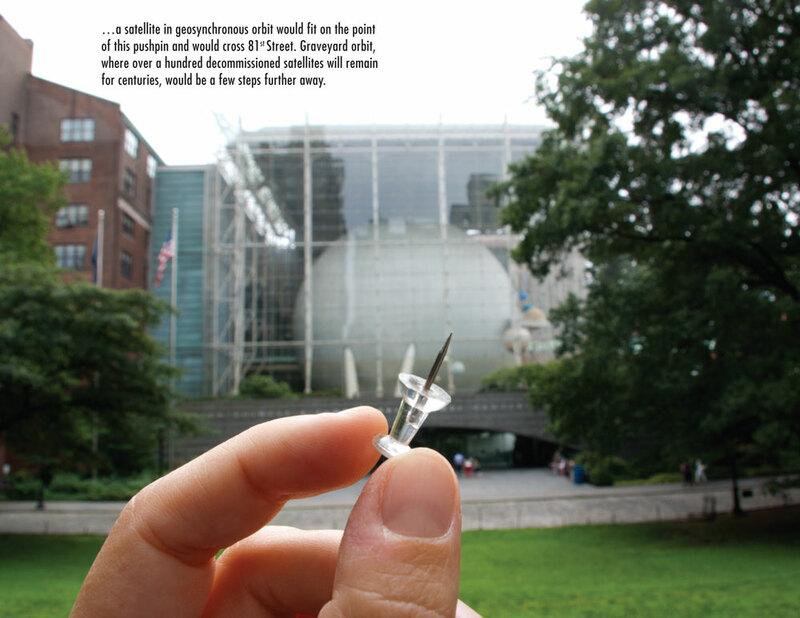 Space Junk Guide to the Hayden Planetarium was made on the occasion of the exhibition ‘Public Trust’, curated by Douglas Paulson & Christina Vassallo and on view at Flux Factory September 7-30, 2012. 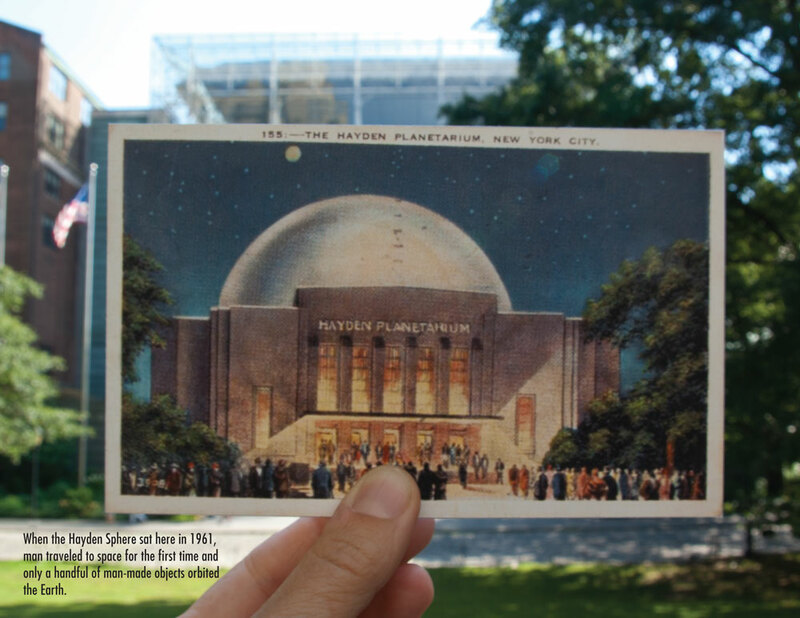 ‘Public Trust’ examines the relationship between formal and informal cultural institutions and their audiences and is comprised of both artworks at the Flux Factory gallery and actions in public spaces and institutions throughout New York City. Page 2. 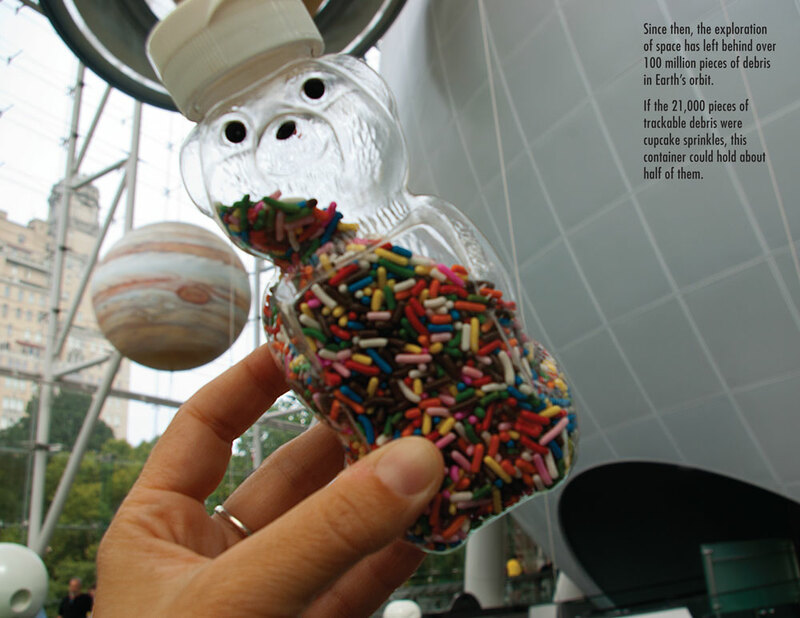 At the end of 1961, there were 380 objects in orbit. Page 5. Currently over 100 million pieces of debris, 21,000 trackable. Page 6. 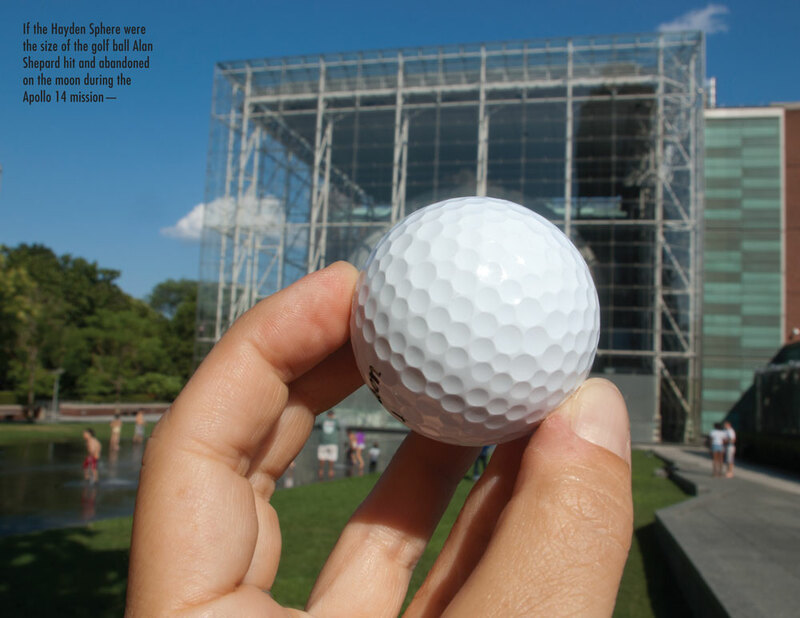 Alan Shepard hit golf ball on the moon during Apollo 14. Page 10. Fragment from collision causing ISS crew to prepare for evacuation. Collision of two satellites in 2009 creating thousands of pieces of debris. Page 13. 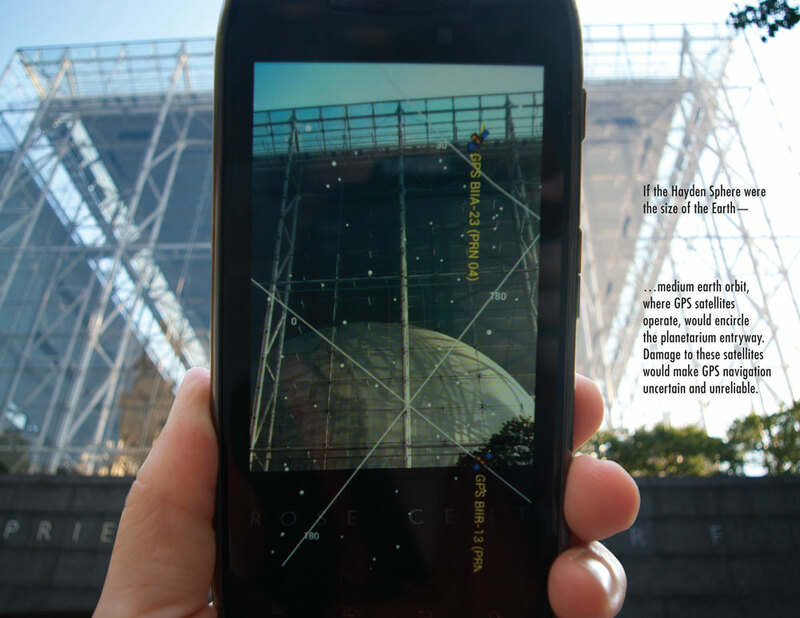 Screenshot from the AGI Android phone application ‘Satellite AR’. Page 16. 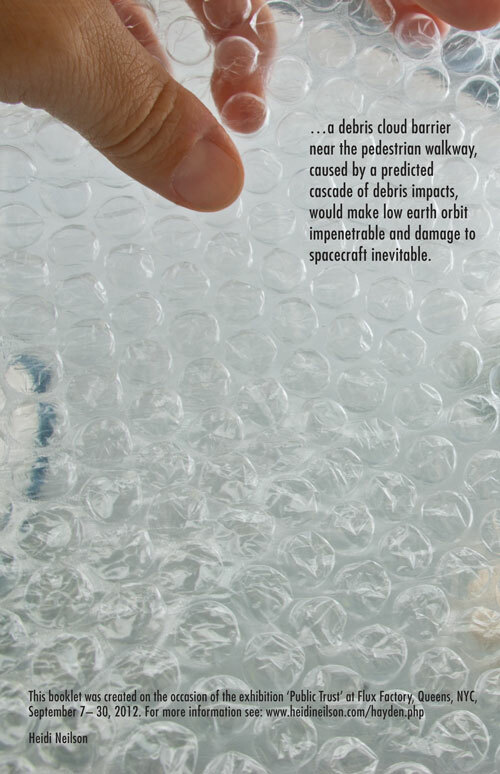 Debris cloud barrier, the Kessler Syndrome.